Making your mark is about doing something bigger than yourself. To celebrate the release of Disney Pixar’s The Good Dinosaur, tell us how you have made a mark on the world around you. Upload a photo of your handprint to Instagram, tagging @DisneyAUNZ and #MarkYourMark, and Disney will plant 1 of 2000 trees on your behalf. We've come up with our own little handprint dinosaur to contribute to the #MakeYourMark campaign and to celebrate the soon to be released movie. As well as our handprint dinosaur painting, here are nine other fabulous dinosaur themed activities that incorporate sensory play, maths, imagination, storytelling, creating, crafting and more! Enjoy! 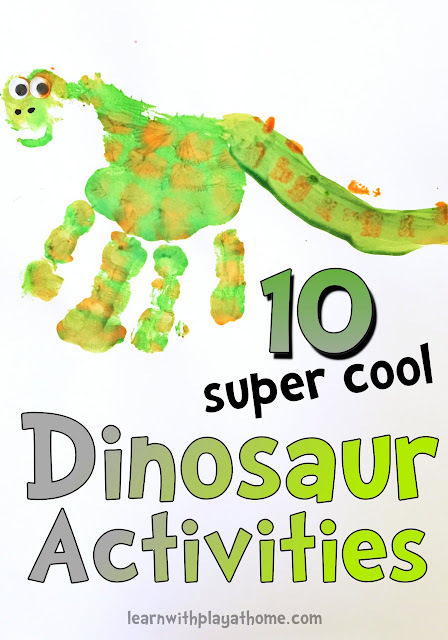 Create your own dinosaurs, using your very own handprint for their body, legs and neck. Add eyes and a tail to complete your creation. Materials: Easy Wash paint, paintbrush, paper, googly eyes (optional), marker. To make the head, either print an extra thumb print at the end of your dinosaurs "neck" or slightly move your thumb when making your handprint to create a head shape. Press your googly eyes on while the paint is still wet. 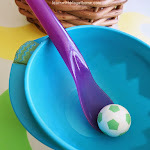 Alternatively you could stick them on with glue or draw on eyes once the paint has dried. 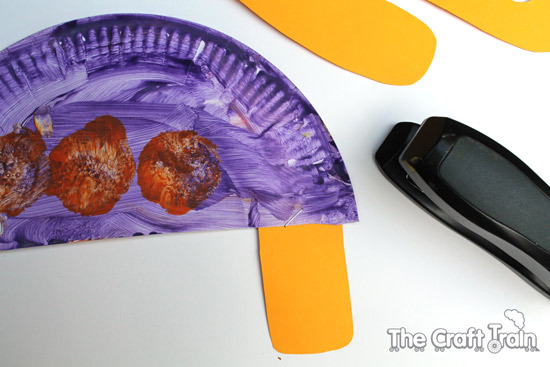 Use your paintbrush to add a tail to your dinosaur. You could also add spikes or any other details you'd like. Add further details with a permanent marker once the paint is dry. What cool colours and patterns would you make your dinosaur? We thought that this little guy, made by my 4 year old, looked a lot like an orange spotted grinning Arlo. Provide your child with materials to make their own Dinosaur World for pretend play. 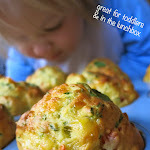 Arlo is a favourite of course! Have fun playing, using imagination and story telling to create adventures for your dino friends in their new dinosaur land! 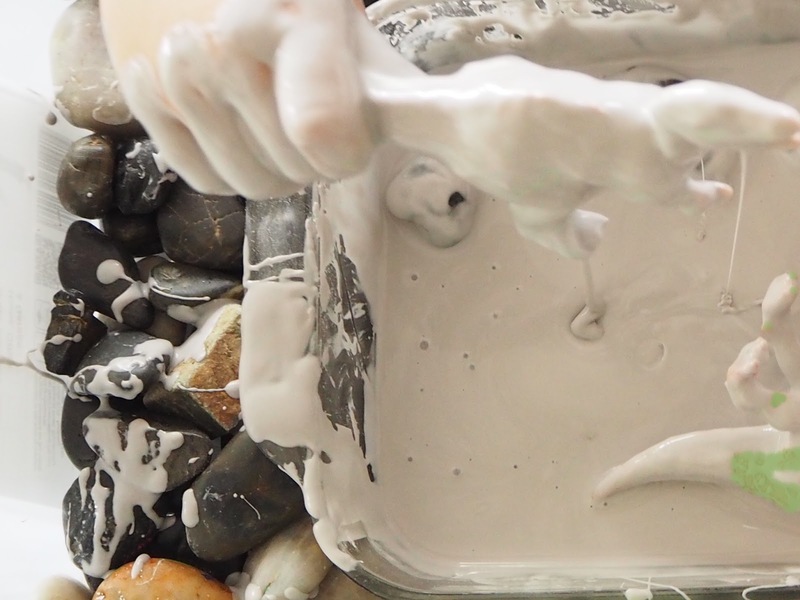 For a super sensory activity, full of messy imaginative play, have a go at this sticky mud dinosaur tub! You can find all the details for making it here. 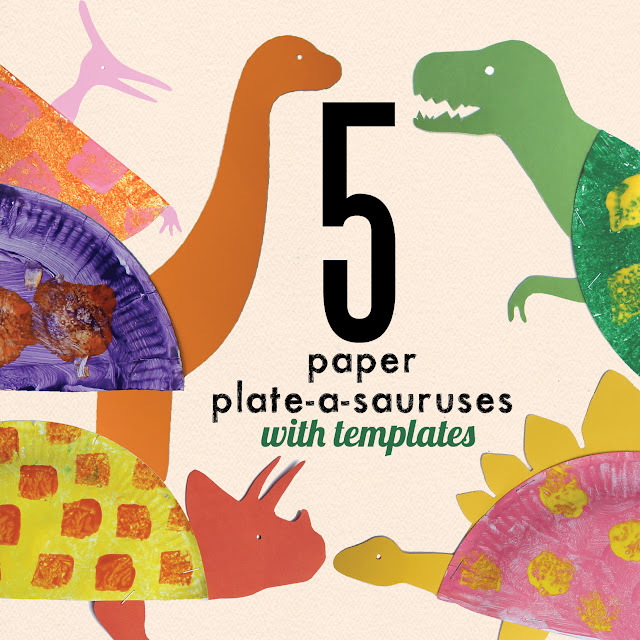 Use some basic supplies, including these free printable dinosaur templates to create your own paper plate dinosaur friends. Use your creations for decoration or story telling. You could even try sticking a craft stick to your designs, turning the lights out and shining a torch on your dinosaur for some cool dinosaur shadow puppets! My kids noticed that the Diplodocus looked a lot like Arlo the Apatosaurus. They were right! They do look similar and in fact, they are both from the Diplodocidae Family. How about trying out the role of paleontologist with your own dinosaur bone excavation in the sandpit? You can see more pictures of our dino dig (and whole Dinosaur Party) here. 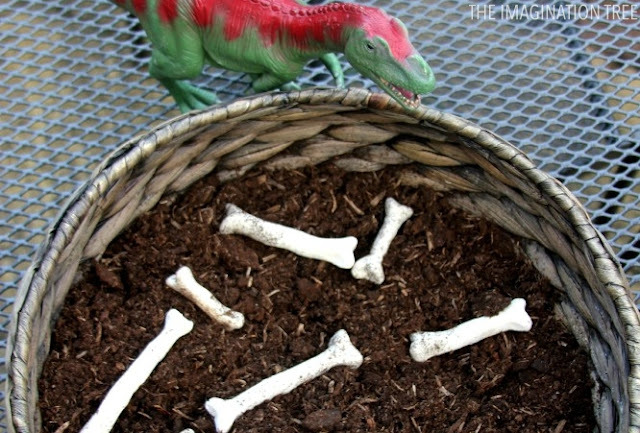 If you don't have any plastic dinosaur bones to dig up, fear not! You could make your own using these instructions from The Imagination Tree. 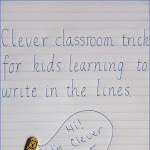 You'll also see some great ideas on how to use the bones to work on maths concepts such as length and counting. As well as bones, you can make some very cool dinosaur fossils out of coffee grounds using these instructions from I Can Teach My Child. Use paper-plates to make your favourite character masks from The Good Dinosaur and use them for imaginary play. Or, you can print out some free Dinosaur Masks from Itsy Bitsy Fun or from Mother Natured here. What would you use to make an Apatosaurus mask? 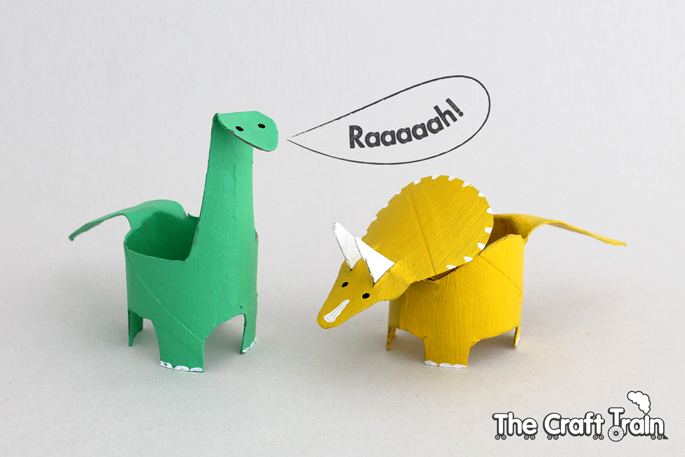 Get crafty making these adorable dinosaurs from The Craft Train, using cardboard tubes or toilet paper rolls. 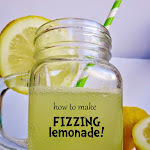 See the full instructions on how to make them here. Can you make an Arlo? If you collect enough cardboard rolls, you could even create an entire prehistoric land! Decorate your favourite characters from the movie with these free printable colouring sheets. Click on the links to download and print your favourites. Paint, colour or collage them as you like. Perhaps you could use them as inspiration to write your very own story imagining what it might be like if dinosaurs never became extinct, or "If I had a dinosaur as a friend". We are really looking forward to seeing, "The Good Dinosaur" when it's in cinemas this Boxing Day (Dec 31st in New Zealand). The trailer looks awesome! To see more details, check out the official trailer on YouTube and keep up to date by following Disney Australia & New Zealand on Facebook, Twitter and Instagram. Do you have any dinosaur fans in your family?